Timberwise can now offer also the T-lists in same color than the parquet. The lists are made from massive oak and can be ordered in any of our parquet color. This way the floor will have as uniform outlook as possible. With T-lists the seams between different spaces become almost unnoticeable when they are same color as the floor. T-list can be used also when the flooring material changes from parquet to some other material. T-lists are of massive oak and they are colored to as close as possible with the parquet color. In T-lists the surface is always made with wax oils, even our matte lacquered colors. 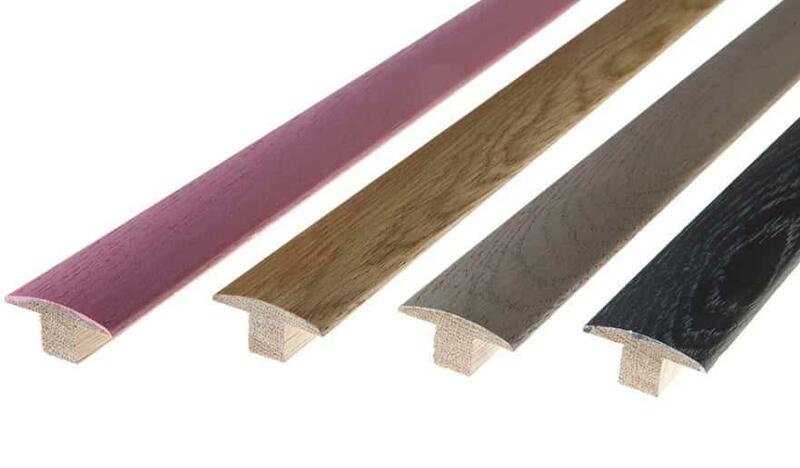 For example Oak Polar parquet is always matte lacquered but the skirting board is always colored and delivered wax oiled. Like our flooring, these new accessories are made of natural materials and have natural color variation. Products are always treated as close to the floor color as possible, but the natural color variation is allowed. Samples and pictures are only a reference. T-lists are available with straight profile or with rounded profile. Delivery time for T-lists is approx. 3-6 weeks from written order depending on the amount.